Happy Anniversary Planet Earth pt 3: “Fresh Water” « Nothing in Biology Makes Sense! 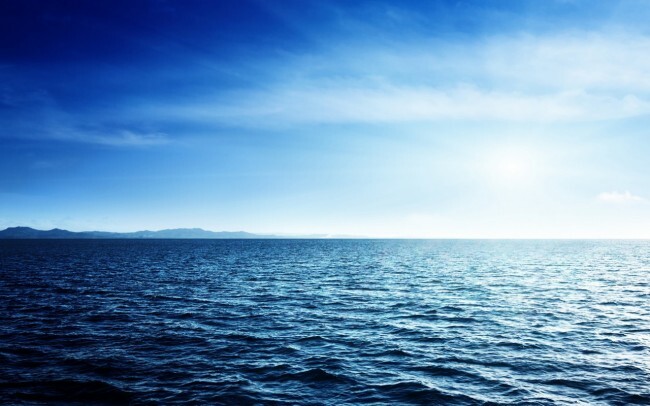 All live on land is dependent on Fresh water, but it is only 3% of all water available on earth, as David Attenborough reminds us in the opening lines of the third episode of Planet Earth. Unlike some of the other Planet Earth episodes, this one is clearly a journey. We follow fresh water from where it condenses at the top of mountains, down to where it eventually meets oceans, with a slight detour to talk about some epic lakes on the way. We start in the mountains of Venezulua, the epic Mountain plateaus that inspired Arthor Conan Doyle’s Lost World. At these heights, it rains a ton. The ocean air gets pushed up to great heights, the air condenses and falls as rain by the gallons. We’re talking about a tropical down pour every day of the year. From there it cascades down, “from humble streams to mighty rivers”, until we get a view of Angel falls (the inspiration for Paradise Falls in the Pixar movie Up). After landing on the ground, we move into my favorite part of the episode, embracing the uncharismatic minifauna. The fresh water is full of energy, and low in nutrient making life difficult. And yet somehow invertebrates thrive, clinging on to the rocks for dear life. Hellgrammites, with their busy gills to extract oxygen and Bamboo shrimp filter out particles as they rush by using their fanlike forearms. 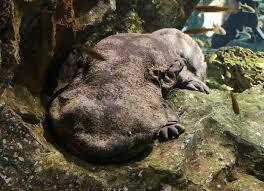 And although they may not be small, no one can say that the Giant Salamander is charismatic. With a face only a mother could love, they can grow up to 2 meters long and are one of the only predators in these rough waters. With poor eyesight, they more than make up for it using the sensory nodes on their face and body. I give you, the salmon cannon. Next we enter the segment of this episode that I’d like to call “Ichthys/Herps vs. Mammal”. 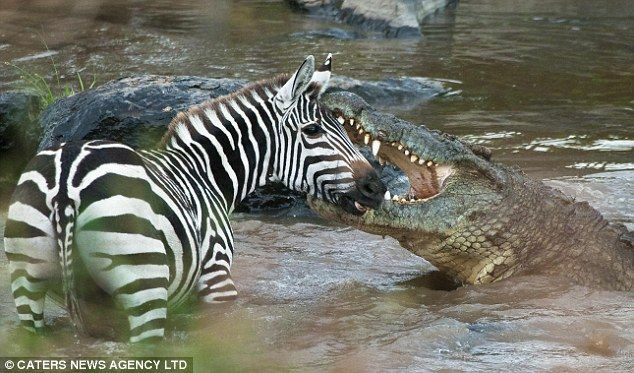 We have ahead of us a series of monumental battles between predator and prey that take place in or near fresh water. We begin with salmon, known to travel hundreds of miles back to their spawning grounds to reproduce (see above note about the salmon cannon facilitating this migration). 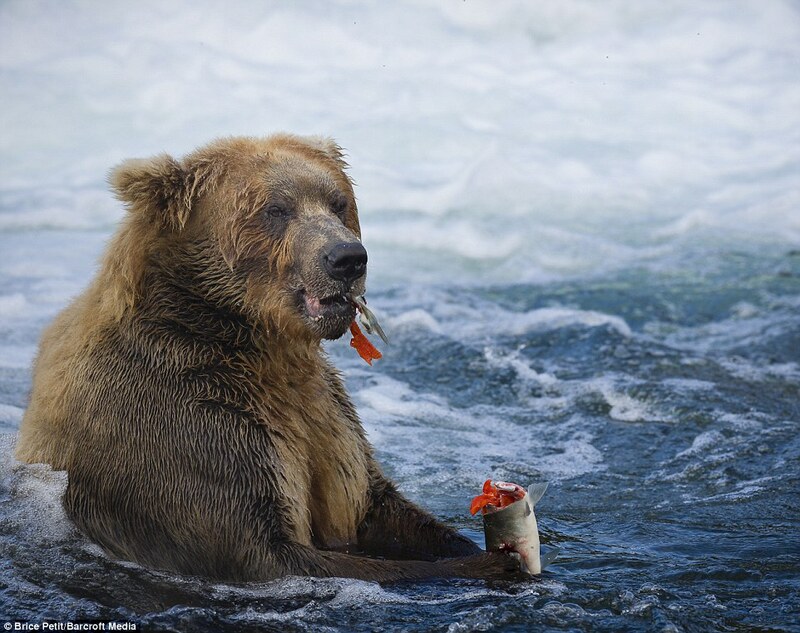 But, low and behold, where there are happy breeding salmon, there are also hungry bears ready to eat them. In this episode we get almost face to face with a grizzly bear, swimming along looking for that oh so delicious tasty morsel. And what’s more, he’s brought along two adorable cubs to teach to hunt. And maybe share his food. 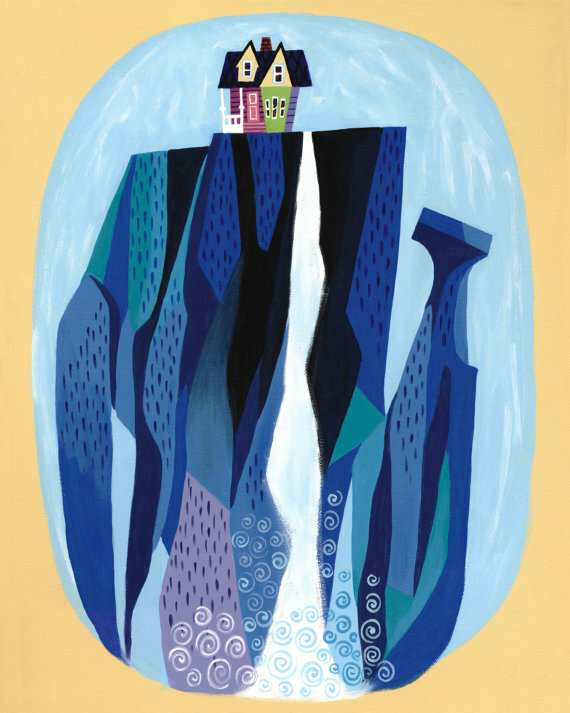 As we leave the mountains, the fresh water warms and begins to support more life. In comes the world’s most social otter in India. They rub coats, fish together, and ward off predators together. First, we see the otters diving gracefully to catch, and teaching their young otters to fish as well. The social otters are together able to defend themselves against a 4 m long crocodile. While at first the otters seem hopelessly outmatched (and if they were alone, they most likely would be) but as a group they successfully put him in his place. Finally our river starts to meander slowly across the planes of east Africa. No longer as dynamic and destructive, but the life source for millions of wildebeests. Where the wildebeest go to drink the crucially important water, the Nile crocodiles (5 m long?!) feast on the abundance. While these two creatures are seemingly well matching in size and ability, these massive crocodiles are shown to repeatedly catch and devour their prey. The freshwater, social and crocodile destroying otters seen in this episode are facing threats from construction of large-scale hydroelectic projects (see above problem with damn dams). With humans over fishing their prey, polluting the water, and poaching their soft fur, these otters have seen serious population decline, and are listed as endangered. The biggest problem Nile crocodiles face? They have a tendency to attack and eat humans, who in turn try to shoot the massive apex predator. They are responsible for hundreds of deaths each year, which ultimately gets them shot. Despite this, the population size is not threatened. More threatened than crocodiles, are wildebeests. Their massive migrations require open land. A fence was erected between the wildebeest and their watering hole by the Botswanan authorities, and it killed thousands of wildebeests reducing the herd by 90%. Detour: Check out these lakes! While most rivers run to the sea, some drain into lakes. Because in general the Planet Earth series tends to focus on the extremes (largest mountains, smallest insect, etc), we start by visiting some of the largest lakes, and then work our way up to the biggest. The first three are in Africa, and Lake Malawi, Lake Tanganyika and Lake Victoria. The fish life in these lakes contain insane amounts of biodiversity. There are 850 different cichlids alone, all evolved from one ancestral species (adaptive radiations anyone?). The males make craters to impress females, while others brood their young in their mouths for predators. Next we drop to the bottom of Lake Malawi, only to race back to the top. The floor is 700 m deep, where in the anoxic water allow the lake fly midges to hide from predators. They then rise to the surface for the most epic looking mating ritual I have ever seen invertebrates do. The density of flies are so intense they look like columns of smoke, instead of columns of flies mating. As the smoke clears, the flies fall to the lake surface, and die. The worlds largest lake, or next stop, is a lake the has everything. Seriously if you want to study any biological question, study Lake Baikal. 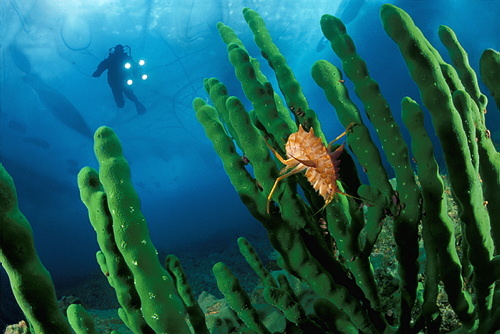 It contains a forest of sponges, the worlds only freshwater seal, and goofy looking crustaceans. Of the 850 species of cichlid, 184 are vunerable, 52 are endangered and 106 are critically endangered. Additionally, many are thought to be extinct. This is largely due to the introduction of the Nile perch in Lake Victoria, which decimated a lot of cichlid populations. The biggest threat to the vast diversity of life in Lake Baikal is pollutants. A pulp and paper mill plant was constructed in 1966 directly on the shoreline. It was successfully shut down in 2008 (YAY!) but reopened in 2010 (BOO!). Luckily, it continued to be unprofitable and closed for good in 2013. It has now been turned into an nature reserve. Back on track heading toward the ocean, we start talking about the worlds most epic river, the Amazon. There are more fish species described within this massive river than in the Atlantic Ocean. The boto dolphins drive many different species of fish before them in a a wave of death. To attract the females, male dolphins carry large objects in their mouths, such as branches, or rocks. 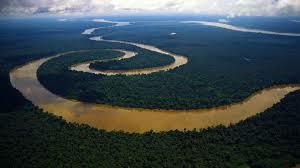 In the flat flood planes of the Amazon the river annually overflows its river and generates the worlds largest wetland. Remember those stories about pirañas in your childhood? They are more scary in person as we find out in our next segment. Ready to pick off any fish, a feeding frenzy develops in seconds, stripping a fish to the bone in minutes. While the pirañas and boto dolphin populations are not listed as endangered (although the dolphin has flirted with that title before), the amazon river faces various threats from dams (I’m seeing a pattern here…), mining, overfishing, and deforestation sending various pollutants into the river. Want more updates/celebrations of this fantastic series? Check out the previous posts (From Pole to Pole and Mountains) and come back next week as we head down into Caves. This entry was posted in Planet Earth, Uncategorized. Really sad about the fenced-off wildebeest. Has the fence been removed or is it still in place? It was entirely accidental, and once the source of the wildebeest die offs were apparent the fence was removed. The encroachment of people onto wildebeest migration paths is still problematic, but use of corridors is promising in solving (or at least alleviating) this issue.